Welcome to our Fortnite Battle Royal Best Weapons Tier List. You can view the TOP 3 Best Guns in Fortnite for each weapon type, like Snipers, Assault Rifles, and even Shotguns. You can also view all Fortnite Weapon Stats and a quick explanation of what each stat means. Here is What Changed In the Weapon Tier List since the NEW Fortnite Battle Royal Patch. DPS (Damage Per Second) The number determines how much damage you can do per second. This is heavily affected by a weapons Fire Rate, Damage. Fire Rate The weapons rate of fire, in other words, the time between each bullet shot. Magzine How much ammo can be held in 1 clip/reload. Reload Speed The amount of time it takes to reload the weapon. 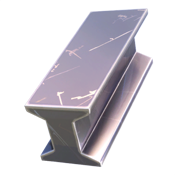 You can use these links above to navigate quickly through the Fortnite Weapon Tier List. 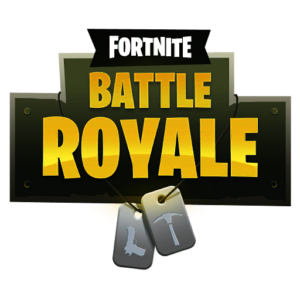 Check out our how to build fast in battle royal guide! Considered the Best Weapons In Fortnite Battle Royal, due to their effectiveness in both CQC and Long Range Combat that rivals most snipers when scoped. In terms of CQC (Close Quater Combat) Shotguns are The Best Weapons In Fornite Battle Royal for clearing houses and other building during the looting. 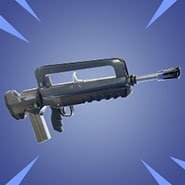 The Sniper Weapons are the Best in terms of Long Range Combat and are regarded as one of the best gun types in Battle Royal. Light Machine and SubMachine Weapons often do well in close range to mid-range combat. 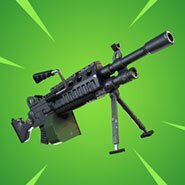 The Minigun is the exception due to its long-range capabilities making it one of the few GOD Tier Weapons In Fornite Battle Royal for destroying enemy structures. 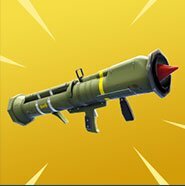 Rocket Launcher, when used in distance combat, can be extremely effective for burst damage. When shooting a rocket far away in the distance, as it takes time to travel to the enemy or their structure, switching to another long-range weapon and firing before the rocket lands can often shock the opponent with a burst of damage. Another amazing weapon type for both Destroying your opponent and their buildings. 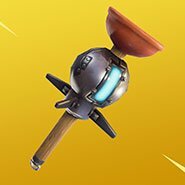 This is one the Best weapons In Fornite Battle Royal every player should start getting used to using. 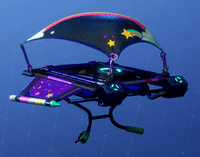 When fighting in Building these are some of the Best Weapons In Fortnite Battle Royal and provide a lot of utility to players. 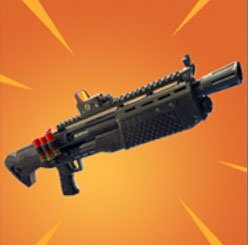 These explosive weapons work best against “campers” and for flushing players out of hiding. 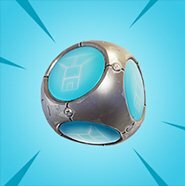 Remote Explosives ? ? ? ? ? 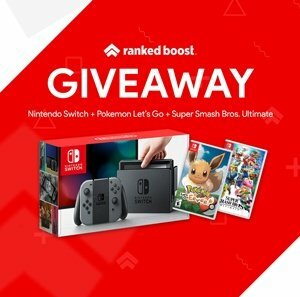 Check out the Free and Battle Pass Rewards This Season! We decided to add a list of Healing Items and how they work just in case you didn’t know. The most important thing to note is certain items can only heal up to a certain amount of HP or Shield. Med Kit Common 10 sec 100HP Full heal. Can only be used up to 50 Shield. Camp Fire Rare 25 sec 2 HP Per Sec Stackable, standing near 2 Camp Fires will heal for 4 HP Per Sec. Port-a-Fort Epic When the Port-a-Fort is thrown, a pre-made fort is constructed instantly at the impact point. The bottom floor is 1×1 with a door for entry. Tires inside allow for easy access to the roof. 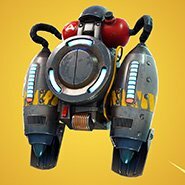 Jetpack Legendary Jetpacks take up an Inventory Space. Limited duration of flying before you will need to recharge. Jetpack begins to recharge when not in use. Bush Legendary 3.5 sec – Bush disguise.